Implanon is a long acting reversible contraceptive which lasts for 3 years. It’s effectiveness in preventing pregnancy is very high. Progesterone is the contraceptive hormone in Implanon is progesterone. The implanon implant is a thin flexible plastic rod approximately the size of a small match which is inserted just under the skin on the inside of the upper arm. Your doctor will remove the implant after it has been in place for the 3 years or at your request prior to this if this contraception method is no longer required or you are considering having a baby. Fertility will return soon after removal. You will need an initial consultation with your doctor to discuss your contraception options including Implanon prior to insertion and to obtain a prescription for the implant. At this initial appointment the doctor will advise the most suitable time to insert the implant depending on your current menstrual cycle and any other contraception you are using. 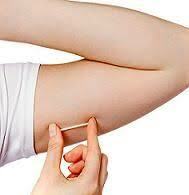 If inserted at the right time of your cycle no other method of contraception is necessary. Unless you are switching from another hormonal contraception method, insertion should be on day 1-5 of your cycle (day 1 being the first day you bleed). You must then bring the Impanon with you to your insertion appointment. Please advise reception at time of booking if you require an initial appointment to discuss options with the doctor or if you have the script already and need to book for insertion or removal procedure.